Who’s a doofus? (Raises hand). Me. 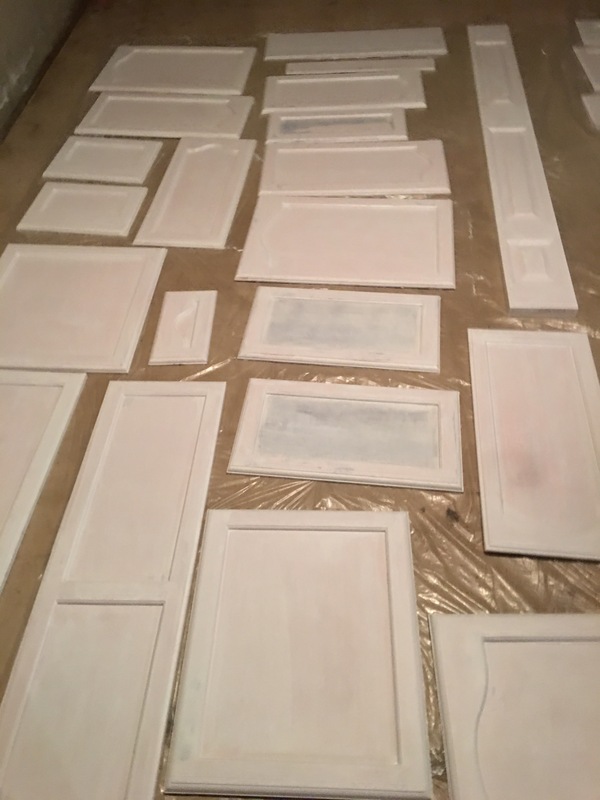 Our contractor sanded the kitchen cabinets, and I was supposed to put a coat of primer on them, and then two coats of paint. After working all Saturday afternoon, in which I also skipped my Writer’s meeting, I finally put the paintbrush down, and put the last cabinet door on the plastic to dry. As you can see, the pink is still poking through. Sigh. Mr. Porter thankfully has agreed to get our contractor back, and let him finish the painting project. After he said this, my depression lifted like a helium balloon. 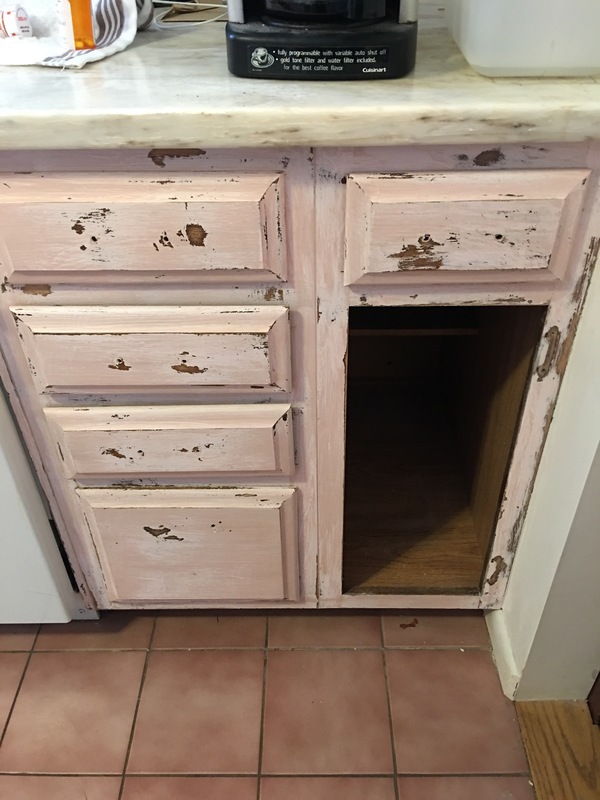 So the saga of the pink cabinets continues. One day this will be a funny story to share at parties, but today is not that day. Yes…more fodder for laughs at gatherings of family and friends! Loved it. I had a good chuckle. Thanks. “Someday it will be funny! !” That’s my new motto.